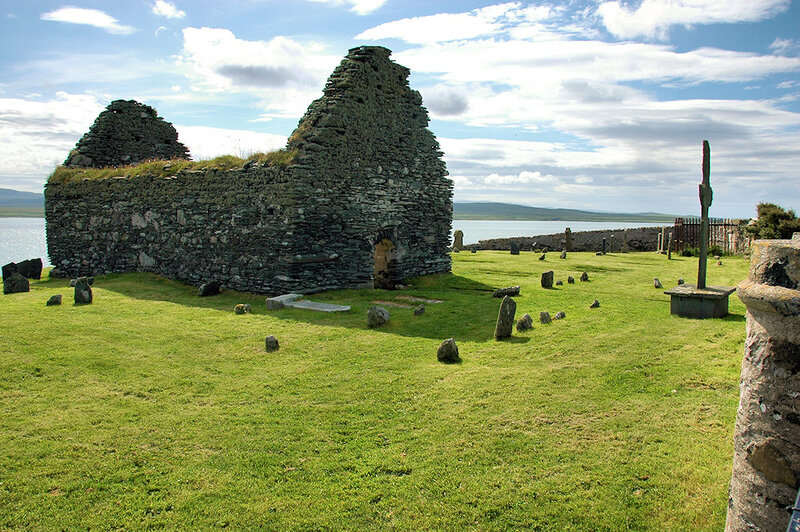 A view of the ruin of Kilnave Chapel and next to it the unfortunately quite weathered Kilnave Cross, a Celtic cross. This entry was posted in Cloudy Weather, Landscape, Repost, Sea Loch, Sunny Weather and tagged Islay, Kilnave, Kilnave Cross, Loch Gruinart by Armin Grewe. Bookmark the permalink.